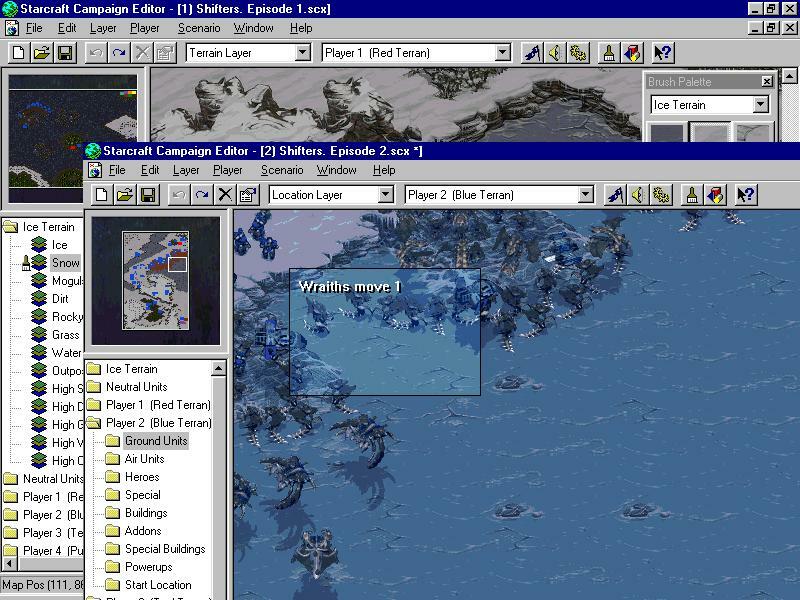 There are many UMS maps created out there in Battle.net, but if you feel the urge to create a map just to play for your friends, or the urge to create a game to spread in Battle.net, the Campaign Editor is a user-friendly program designed to help you create your own Starcraft Maps. Terrain contains of Dirt, Mud, High Dirt, Water, Grass, High Grass, Structure, Ashphalt and Rocky Ground. Dirt is accessibly by all units and buildings. Mud is accessible by units, but there cannot be buildings built upon it. High Dirt has the advantage of high ground, where units on top has a 100% of hitting a unit on the bottom, where the unit on the bottom only has a 70% chance of hitting the unit on high ground. Grass has the same properties as Dirt. Structure is accessible by units only if there is a land leading up to it, and there cannot be buildings built upon it. Ashphalt and Rocky Ground has same properties as Mud, with different properties in respects of appearance. All Doodads cannot have buildings built upon them, but some allow units to pass over them, while other do not. Doodads don't do anything in particular, they are purely decorative items designed to add a little spiece to the map you are creating. 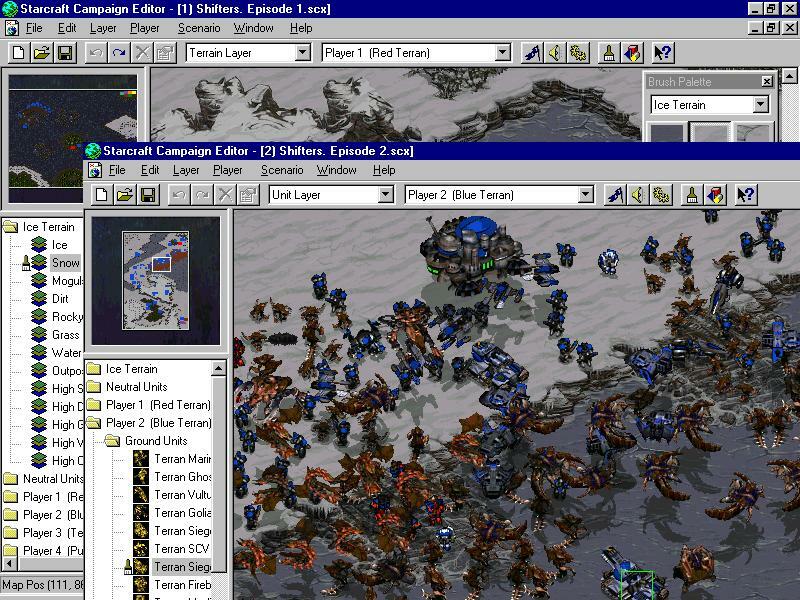 Units, obviously, are units found in the game that you place on the map, whether as rescuable, neutral or hostile units. You can place any unit on the map, including Cerebrates, Heroes, Spider Mines and the such. You can define their properties by going to the Scenario menu and selecting to Unit and Hero Settings. Locations are a totally different layer in itself. You can make locations big or small as the situation demands and have units move, attack-move, or teleport to that location. You can also have things happen at a location, such as removing all units for a player from that location or not allowing something to happen in a location, such as flying buildings. 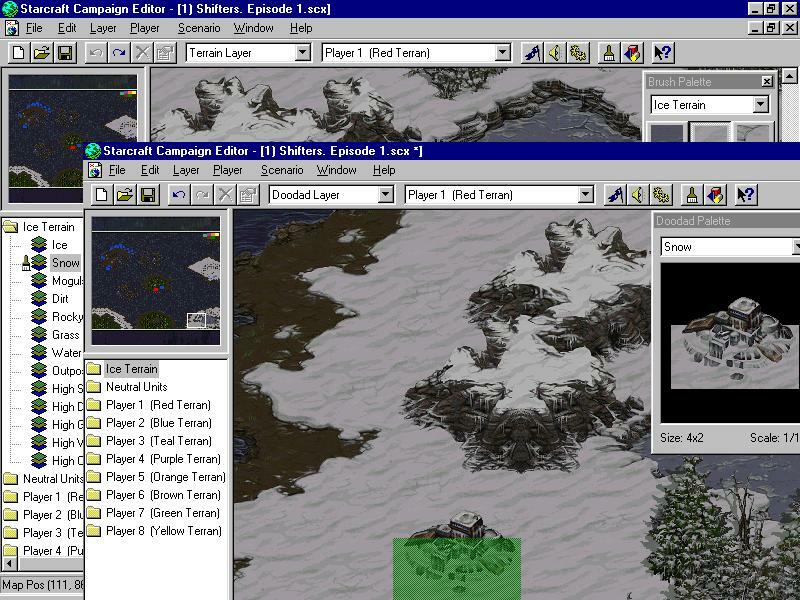 Fog of War makes terran passed by a unit visible, but when that unit passes, the general terrain is still availble to view, although any specific happenings, such as enemy unit movements and critter movements are no longer available. If a building is created after you've left the area, it does not show up on the map. If a building is destroyed after you've left the area, it still shows on the map. Your map can be "updated" everytime you check back on that area. This defines whether you want the oppoent to be a Computer, a Player slots, and their race(or you can make it so that they can select it by clicking the "User Selectable" button) and color. 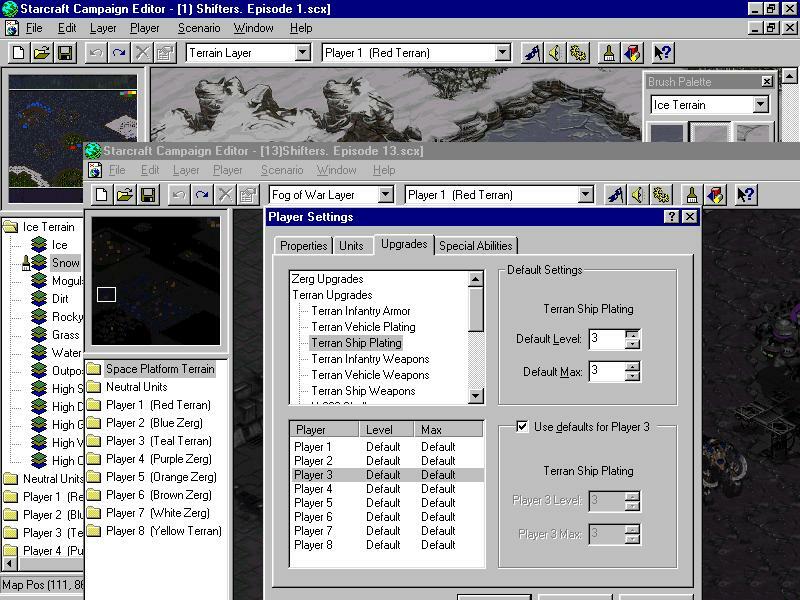 In this tab, you can select which player can build what. You can diable units that the player can build by unchecking the "Enabled for Player _" after unchecking the "Use Defaults for Player _" box. Then, using the top list, you can define which units you want available for that player, and which units you want disabled. This tab allows you to define the unit upgrade level, but not their statistics. You can upgrade armor for units to a value of between 0 and 3, and set a maximum upgrade level of between 0 and 3. You can also set the initial upgrade level, as well. This tab can be used to determine the Special Abilities available for each unit for each player. Turning off the default values will allow you to customize the abilities the units come with. Forces is another word for the teams you start out with. You can predetermine whether the players on a team are Allied with Shared Vision from beginning, whether they have Allied Victory, whether the Start Locations are random or set, and have different forces battle each other. Sounds can be imported using the "Import..." button and then used in Mission Briefings or activated on Triggers for however long you want them to be played. It is highly customizable, and I suggest you fool around with it before getting fustrated and consulting help. Triggers are events that cause another event to come into play when a certain condition is fulfilled. For example, you want that you gain 100 minerals when you get your probes to walk in a certain spot. When the probe walks into that spot, and the condtion that a unit has walked into the designated spot is fulfilled, another event, namely add 100 minerals to stockpile, is activated. 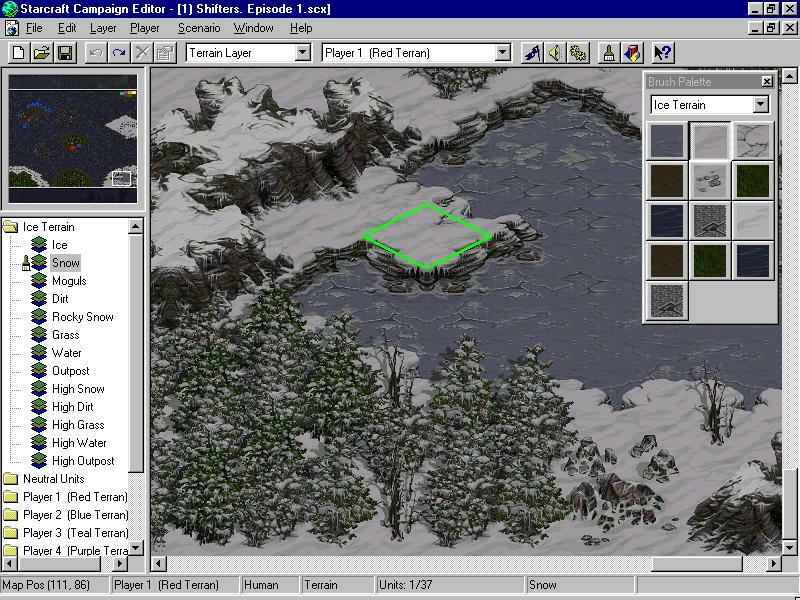 The three default Triggers demonstrate very basic ideas, such as "If player _ has no buildings left, then they lose" or "Everyone starts off with 50 minerals". 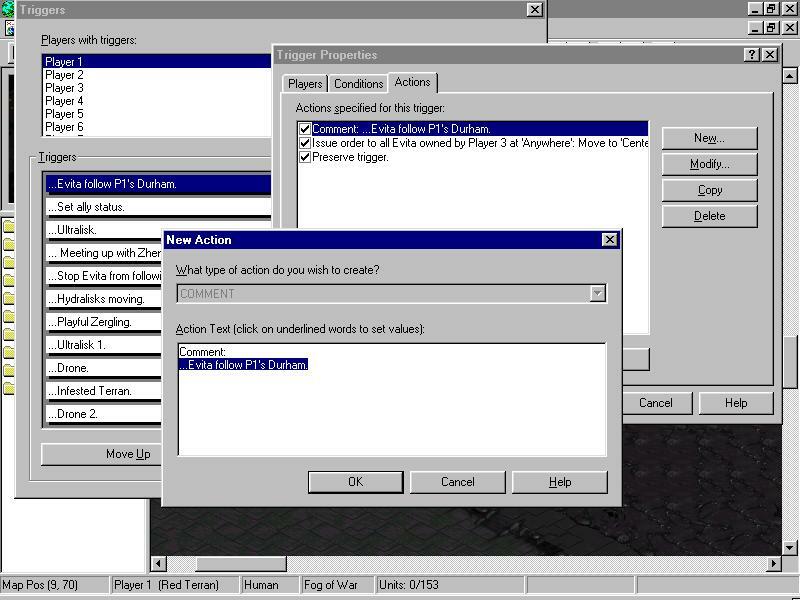 To give a certain player or players or even all players a mission briefing, select the appropriate party you wish for the briefing to appear, and then enter text. You can set the duration the message appears in seconds, whether you want it to scroll, what faces to appear on the video slots, and what sounds to play. To have a good mission briefing, try to synchronize sounds and graphics with text so that they begin and end at the same time. This can define the units in the game and their various statistics, such as hit points, energy, attack and defense power, firing rate, special abilities, cost, time, nameintial and final upgrade levels, and much more. You can have super units, or really fast-building units. Experiment with these settings and see which you like best. A brief description of the map, and its name should be typed here to give the users a general idea of the map. Extra help can be found on the official Blizzard website(http://www.blizzard.com), one of its affliates, or simple in the help section that comes with the Campaign Editor. This has been a brief description and explanation of what the Campaign Editor is capable of. 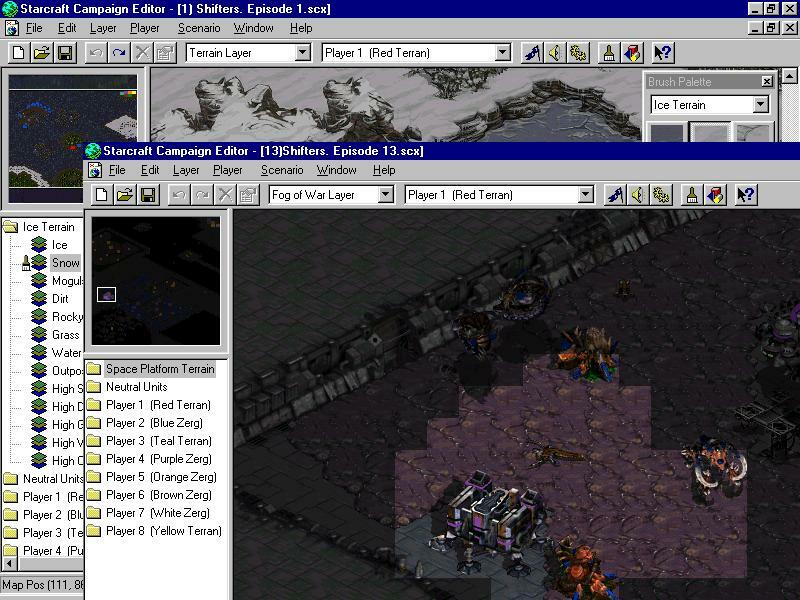 All UMS map games are created using this program, and variations of Starcraft can also be made from the Campaign Editor.